High temperatures in the North Pole could break records this Christmas. 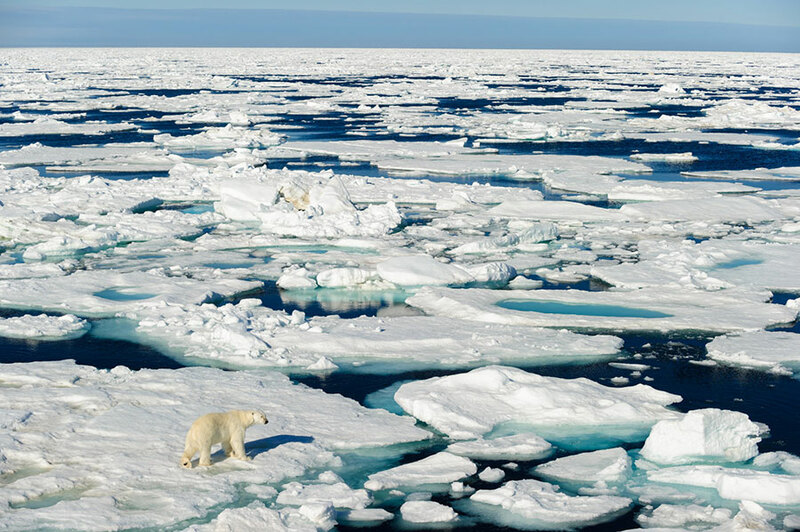 On Thursday, the Artic was more than 20 degrees above the average, according to scientists. This follows a summer in which the ice sea of the North Pole reached the second-lowest area recorded. We are having a warm Christmas Eve this year, and scientists are concerned about the future of the Arctic’s ice mass. They said that warmer temperatures in the Arctic region are due to human-made climate change. A heat wave like this would have been an incredibly weird event, something that is expected to occur every 1000 years. “If temperatures continue to increase further as they are now we would expect a heatwave like this to occur every other year and that will be a huge stress on the ecosystem”, said Dr. Firederike Otto, a senior researcher at Oxford’s Environmental Change Institute. This unreasonable warm weather patterns in the Arctic are due to human action. This could be one of the hottest winters in the North Pole. The temperatures in the North Pole rose 5 ºC the average between November and December. According to scientists, the temperature could reach 30 degrees the average during this Christmas Eve. It would be a record-breaking heatwave. According to Dr. Otto, scientists have no doubt that this change in the weather patterns is a consequence of anthropogenic climate change. She said that they had used different climate modeling observations, and through all their methods they found the same, that this heatwave is linked to human activities. Dr. Otto also said that this sea ice reduction is accelerating the “feedback loop” because as the world is getting warmer, the sea ice and the ice on land is reduced meaning that the darker water and land are exposed. This reduces the reflection of sunlight by ice, meaning there is a higher absorption of sunlight. An event like that is not likely to occur under natural conditions more than once every 1000 years. However, new predictions forecast that there is a 2 percent chance of a heatwave event every year. “The eerie thing is that we saw something quite similar (temperatures at the North Pole of about 0C in December) almost exactly a year ago,” said Dr. Thorsten Markus chief of NASA’s Cryospheric Sciences Laboratory. Jennifer Francis, a marine and coastal sciences research professor at Rutgers University in New Jersey, said that the temperatures in the atmosphere are 20 ºc warmer than average. She expressed concern about the rising oceanic temperature. If it continues like that the predictions of an ice-free Arctic by 2060 would be very generous. People living there is also suffering the effects; they can’t fish as they used to and buildings are falling apart. Moreover, though the North Pole is melting faster, scientists say that the situation is similar in the Antarctic region. On Friday, the temperatures registered near the North Pole were 0 ºC or even warmer.